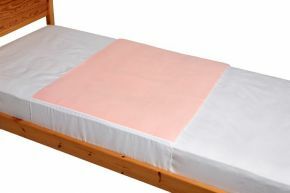 Kylie mats offer a range of bed protection. They are placed over the top sheet of the bed. The unique one-way urine barrier and generous absorbency properties ensure that protection and comfort are maximized. Kylie bed protectors are amongst our most popular choices in the incontinence care range, so you can shop with complete confidence knowing that they really wil work. They can be washed up to 200 times without affecting their absorbency properties. Kylie Type Two: 910mm x 740mm (36" x 29") has a 2 litre capacity with waterproof back and tuck in flaps. Kylie Type Three: 910mm x 910mm (36" x 36") has a 3 litre capacity with waterproof back and tuck in flaps. Kylie Type Four: 1390mm x 910mm (55"x 36") has a 3 litre capacity with waterproof back and tuck in flaps. This product has really helped my mother with my father\'s night time incontinence problem. It washes easily and dries very quickly. Item was as described and excellent quality. Order was received very quickly. Excellent service would definitely recommend. 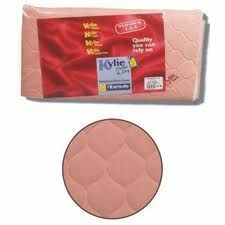 I would like to leave a review as I am really happy with the Kylie sheets and the delivery was really quick. Absorbency is good. Top surface is soft. It is a very useful item: great absorbency and soft. Excellent product combines comfort with practicality. I'm very pleased with it. We have several of these now for my Mum and they are excellent and dry quickly and always quick delivery too.